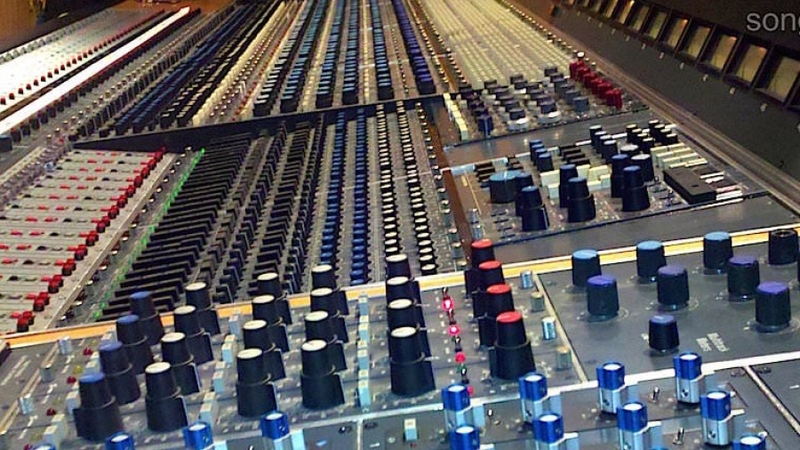 I owned this gorgeous vintage Neve 8078 console as a partner and then sole owner from 2003. At the end of 2011 and just months before his passing I sold the 8078 to Beastie Boy MCA Adam Yauch for his studio in New York. He enjoyed the process and worked me over pretty good in negotiations ; ) He is greatly missed. By popular demand I’ve left up the advert details. All monitor channels headroom increased from +18dbv clipping to +26dbv clipping. All monitor channels have balanced output amp which allows send to recorder. 4Track-2 monitor section to 4track-1 fold-down, which allows 72 channels for mixdown. 4track1 Stereo Buss Insert Send/Return Circuit. API EQ’s with Balanced +26dbv headroom in and out. Active meter amps with Line in, Buss, or Monitor selector. Phoenix Audio (Geoff Tanner) class A output stage on mix out. 48 VU meters all actively buffered can select Buss, line in, Monitor In. Moss and Mitchell TT patch-bay all wired to 56 pin Elco, ready for 96 chnls. In-Board 5.1 Monitor Control unit. Outboard LYNX System Supervisor for Flying Faders Machine Control. The patchbay and producers desk with the api’s and machine control can be removed from this 8078 and then rack mounted with the patchbay which greatly reduces the size of the console for small studios. If the setup is full-length as it is now, patchbay can be moved to either side of the console or racked. All Manuals, schematics and service documents, power supplies and related wiring. spare parts, spare power supply, extra 31105, extra API EQ. In addition to the cosmetic re-fitting done in the spring of 1999 which included fabrication of a new leather bolster, new red oak trim and re-screening the panels, a complete hardware inspection and extensive re-furb were performed under the watchful eyes of Barker and Tanner. This re-furb encompassed all aspects of the console with a focus on the utmost signal integrity without losing that vintage “Neve” sound for which these consoles are so vastly sought after. Every module was removed, cleaned and upgraded. The monitor section was modified with balanced output drivers on each channel to allow recording directly to tape from the monitor section. This facilitated an increase in headroom from +18 to +26dB as well. A custom “Producers Desk” was built into a bucket containing (8) Channels of API 512 Pre’s and (16) channels of API 550 EQ’s (normalled to the monitor section while fully patchable), 5.1 monitoring control, Lynx System Supervisor Control unit (allows control of up to four Lynx synchronizers), (8) 2-Track Playback selectors and an additional (4) Shep 31105 modules, (2) 1073 modules. This NEVE 8078 ( serial #A7396) was originally built for Ronnie Milsap in about 1977. It was sold to A&R Recording after that and many sessions by Phil Ramone where done on the console. After A&R it Wound up at Cove Sound on Long Island. It eventually found it’s way into Sony Music Studios NY’s Studio D. Prior to installation in Sony NY all capacitors where replaced, all send and aux pots in all channels where replaced with new clarostats, balanced meter amps and a new Moss and Mitchell TT Patchbay where added. After a few years of use in that facility, it was de-commissioned, packed and crated for shipping to the West Coast. Once on location at Sony Music Studios in Santa Monica is spent 4 months in pieces being meticulously cleaned, mod’ed and restored by Peter Barker, Sony’s Director Of Engineering, and Geoff Tanner of Phoenix Audio (not to mention a member of the original 8078 design team). It was re-commissioned in the summer of 1999 to rave reviews. A party held in its “honor” attracted the likes of Bob Clearmountian, Ed Cherney and Steve Churchyard among others. Among the artists that recorded on it at Sony Santa Monica were Elton John, Pink, Journey, Ozzy Osbourne, Jennifer Lopez, Train, and Destiny’s Child. This Console performed dutifully until the closing of Sony Music’s west coast studio operation before it’s location to Threshold studio’s Santa Monica and then purchased By CJ deVillar in 2003. In December of 2011, Beastie Boy MCA Adam Yauch purchased the 8078 which was subsequently installed at Oscilloscope Studios in New york.